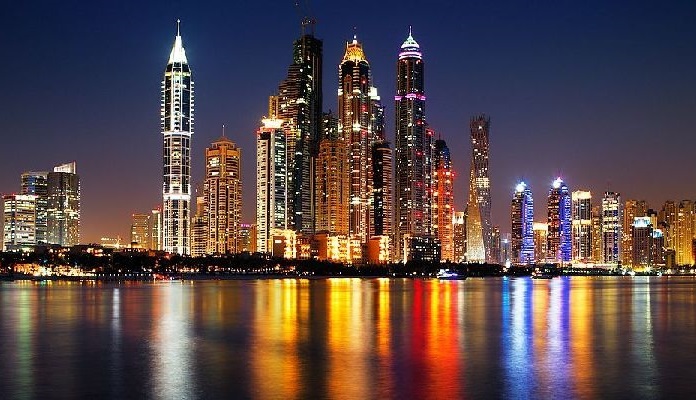 Dubai: Dubai’s property market — and end-user buyers — should be able to take in further interest rate increases this year. Even with the recent increase (brought on by the US Federal Reserve effecting a 0.25 per cent hike), the transaction numbers for completed homes in the first four months show that the volumes continue hold steady in Dubai. Across Dubai’s freehold zones, 4,330 ready units were sold in the period, up a healthy 20 per cent over the corresponding four months in 2016, based on data from Reidin-GCP, the consultancy. Except for February, each of the other three months turned in volumes of 1,000 units and more. March was the best performing, with 1,286 homes sold. As for February, there were 943 units, the data notes. Two freehold clusters at either end of the pricing spectrum turned in year-on-year gains of more than 50 per cent. Palm based properties recorded a 56 per cent increase in volumes from the first four months of 2016 to sell 196 homes. Many of these were transactions involving built properties. And then there was Discovery Gardens, recording a 72 per cent year-on-year gain, by transacting 244 homes. Apart from International City, where volumes dipped 21 per cent, all of the other key clusters in Dubai recorded fairly comfortable volume gains. And that also means a significant number of end users are also active, and financing their deals through a mix of equity and mortgage funds. The pattern seems to be that end users are attracted by prevailing asking prices, including those offered directly by developers on their off-plan launches. 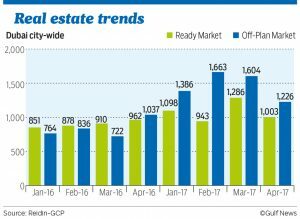 In fact, on the off-plan side, Reidin-GCP estimates suggest a massive 75 per cent increase in volumes between January to end April, totalling 5,879 homes against the 3,359 units sold same period last year. (Under development locations such as Dubai South and Dubai Creek Harbour notched sharp increases in deals, while among the established areas, Dubai Marina was the front-runner, and followed by the Downtown.) So, even if the next mortgage hike is effected, in June after the Fed meeting as is likely, “There is no pattern in price changes and fluctuation of interest rates,” the Reidin-GCP report notes. “The recent hike in rates is still considerably below what the prevalent rates were during the first bull rally in 2002. “This proves the point that there are other variables that exert a greater influence, and there seems to be virtually no cause-and-effect between interest rates and house prices.